The name says it SMOKIN' VIEW! 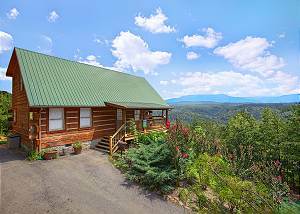 This cabin is up in the mountains & does have fabulous views for those lazy days in the Smokies! VIEW NOW. Thank you for inquiring about Acorn Cabin Rentals Rental Program. Please provide us the following information to be considered for our program. We would be happy to send you a copy of our Rental Agreement after reviewing your cabin.